The European Wilderness Society has been honoured with a visit from US National Park Service -Wilderness specialist Mr. Garry Oye. Garry worked in protected area management in the USA for over 35 years, for example at the National Park Service and US Forest Service. In his most recent years, Garry provided program leadership for Wilderness Stewardship in National Parks. The program includes 60 Wilderness areas in 49 Parks, covering 44 million acres. 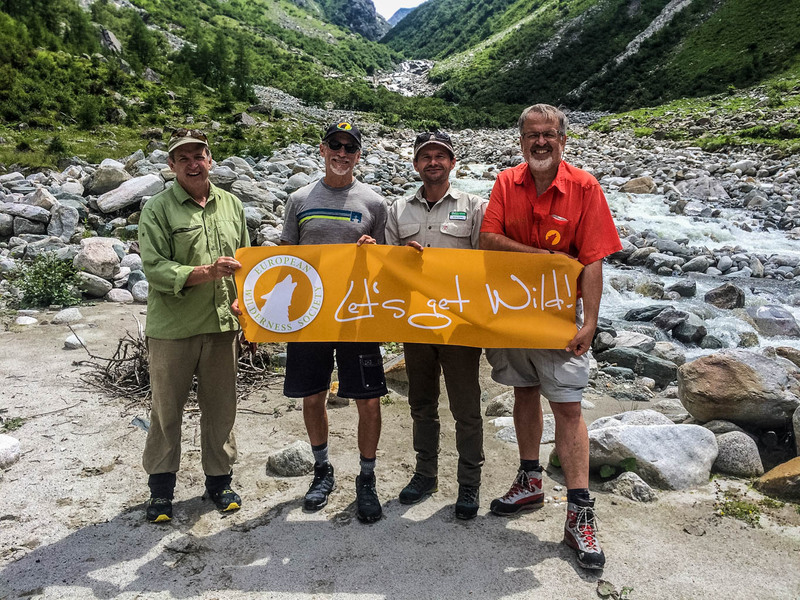 Garry has taken the chance to explore the Wilderness across our planet and is joining the European Wilderness Society for a short visit. After a guided tour through the UNESCO Biospherepark Lungau, the team will visit the Kalkalpen and Hohe Tauern together this week. Garry also visited the Königsbrücker Heide wilderness and was positively surprised at how fast nature on its own free will restored the ecological process in this military area, which was bombed and destroyed for 86 years by the Prussian, then German and lastly by the Russian army. He then visited Archipelago Wilderness and prepared the trip for Vlado Vancura. Van Keele from the Friends of the Bitterroot also visited us and we joined forces to explore the Hohe Tauern Wilderness created by the retreating glacier. Garry and Van were stunned how climate change impacts the wash-outs, creates rock avalanches and threatens households. The also were surprised at the investments the Austrian government is undertaking to mitigate the negative effects of climate overheating.